Last edited by scumflesh on Thu Jan 31, 2019 3:28 am, edited 1 time in total. MEIN KINDER - The bloodshed will redeem us all CDr. MUCUS (Bel) Ta mere est vielle, prie pour elle Demo tape. THE AMERICAN NIGHTMARE compilation tape. 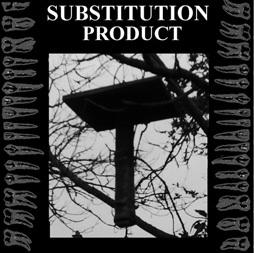 Compilation with various kinds of underground bands: Grindcore, noise, black metal, dark ambient. BED SORES - Demo 1. Tape. SOCIALISTIC JONNY GOBLET/ EVOLUTION CONTAMINATION Split tape. NATHAN SURFACE (Usa) Improvisation V.0 Tape. GLAUKOM SYNOD (Fra) Hydrocephalizer CDr. R.a.m. Land, La'Vers, Otonin, Third I, Strange Kind Of Human. DENTAL WORK (Usa) Brix Mix Tape Vol.2. CDr. Slim DVD case. PINK VENOM (Uk) Waste of the world Demo CDr/ Pro CDr. FVRLVRN (Usa) Fvrlvrn Demo tape. MIKE LOVE 666 (Uk) Album #12 Demo CDr. DISTHRONE (Por) Anti-system Demo tape. STRONGHOLD (Fra) Stronghold Demo CDr.